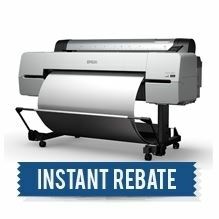 Pricing includes Epson's $1,000 Instant Rebate off the regular price of $6,495. Good through April 21, 2019. 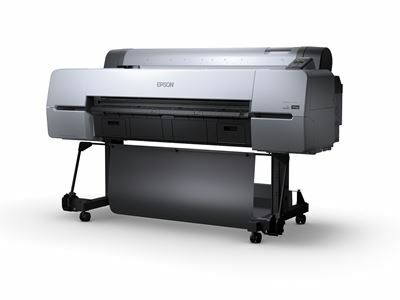 For high-volume photography and fine art production, the all new Epson SureColor P10000 44-inch Standard Edition printer achieves high speed while delivering outstanding print quality. Ideal for photos, fine art and indoor display graphics, the new 2.6-inch wide PrecisionCore® MicroTFP® printhead paired with Epson UltraChrome® PRO 9-color archival pigment ensure increased productivity and exceptional, long-lasting color or black-and-white prints. This machine is a workhorse with 700 mL ink cartridges that deliver efficient ink usage with lower cost-per-print, as well as a 320GB print server that allows exception networking performance for multiple workstations.